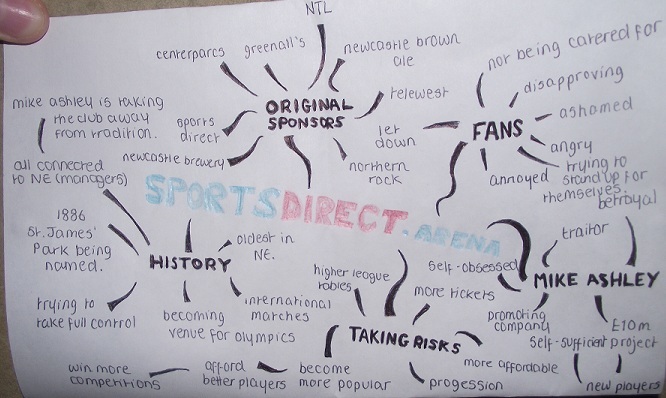 I decided to plan my 800 word article firstly by creating a Mind Map which included all my ideas of what I wanted to include in the actual article itself. I made the title stand out by using the same colours as the actual logo then used subheadings as well as smaller branches to give me information on each. I didn’t make it too detailed because I didn’t want it to be so informative that all the information had already been included. The article which I am focusing on is to do with a ‘sporting event’. 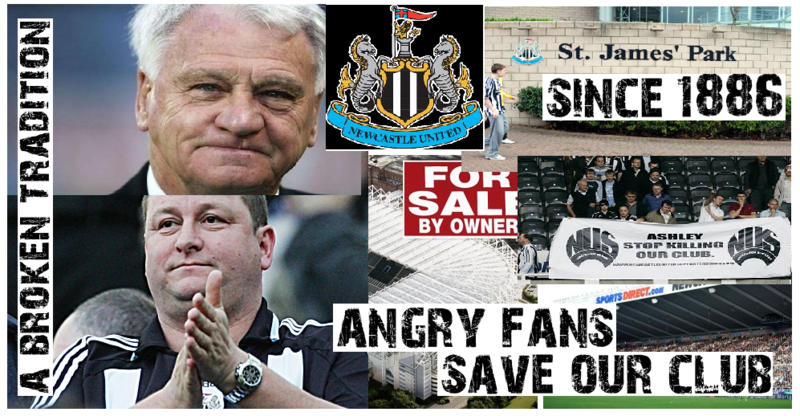 Something current in the news at the moment is the newly renamed ‘Sports Direct Arena’ this was previously known as ‘St. Jame’s Park’. I therefore wanted to look at the different reactions and how the whole name change began as well as looking at the histories and different sponserers. There are also many websites which I could look at in order to help me find different information on the article. I am also going to look at recent newspapers which will give me a better insight than some online articles because they are more detailed. These are news websites as well as blogs made only for the public so I can get opinions from both sides. This will give me reactions from actual fans as well as what the actual footballers and owners of the club think about it.